9his site specializes in only USDA CERTIFIED ORGANIC grains, flours, foods, and feeds. We do NOT carry any conventional products, so you can be confident that anything you order from us will be GMO free and organic. Shipping and sales tax are are included in the prices below. 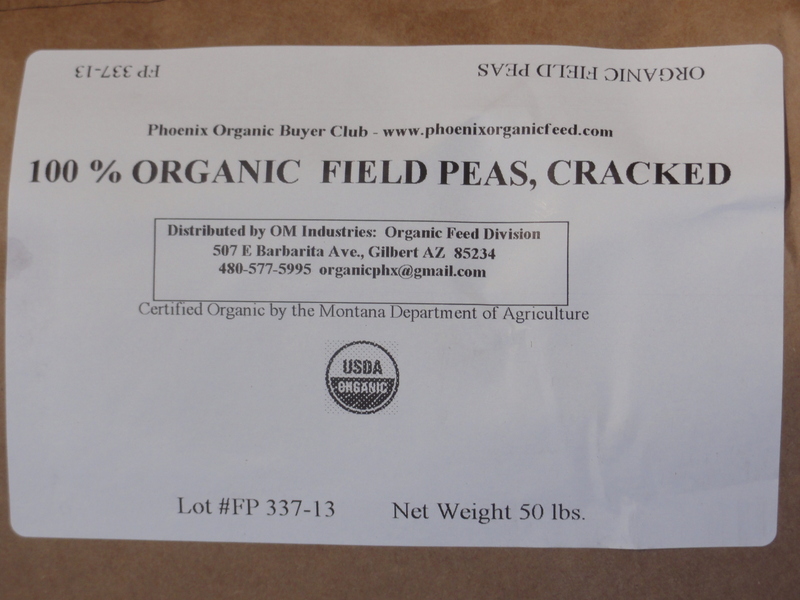 As a participant you will need to pick up your organic grain flour and/or feed order at the Phoenix area drop point. BELOW - % indicates the amount of guaranteed protein content in each ration, which are formulated for different stages of growth. 20% Organic Broiler Grower, now labelled Big Sky Chick Start Gro, CORN SOY & CANOLA FREE - 50lb bag - $31.00 Same Formula! !